A set of 2 foundation sponges. 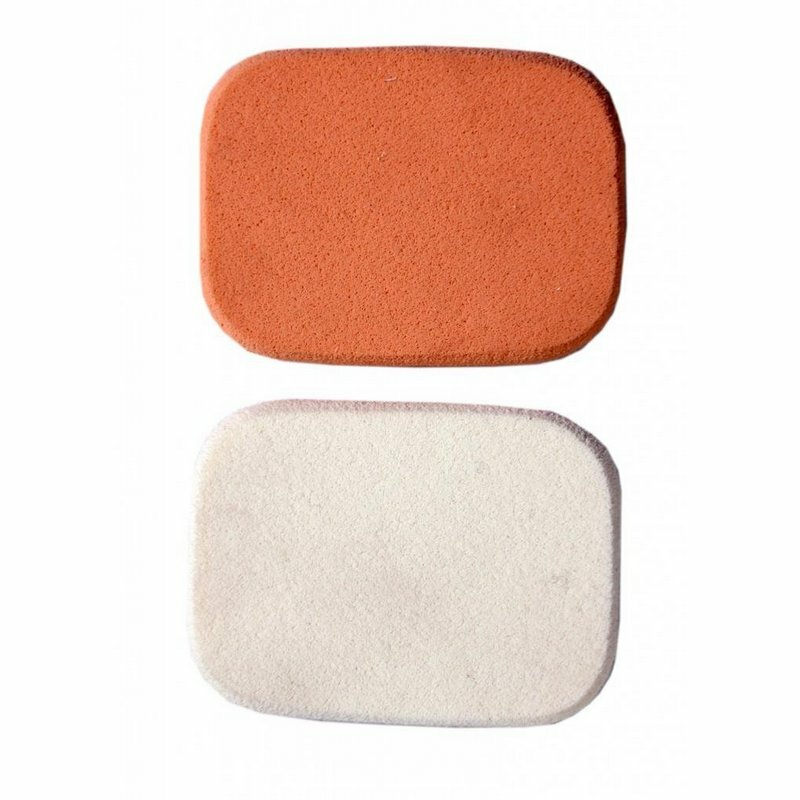 Crafted from soft cotton velour, these sponges help apply liquid product evenly on the face. They come with a handy zip bag that can be stashed easily into a travel bag. -Rinse the sponge with water and squeeze out excess water. -Dab the sponge on foundation or cream. -Gently pat to apply makeup.